Comedy from Dave Vitty - Chris Moyles' hilarious sidekick on Radio 1. Dave Vitty, aka Radio 1's Comedy Dave, has worked his way from the backrooms of BBC radio to the biggest breakfast show on the airwaves and has a story to tell. He's played Glastonbury - twice - he's had his ear licked by Dave Grohl and he's written more 'Car Park Catchphrases' than you can shake a stick at. Dave's first attempt at being a proper writer is a collection of his stories, misadventures, songs, anecdotes and pictures from his phone all linked together in a far from tedious way. 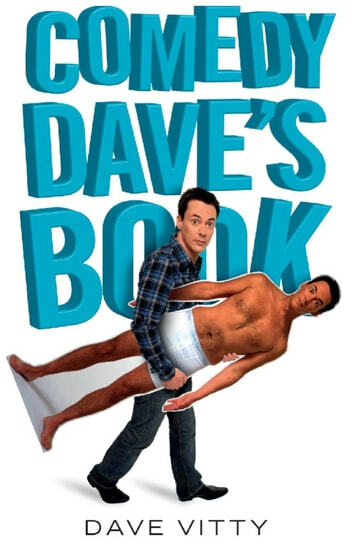 Less Lord of the Rings and more 'Lord of the Things', there's a lot of comedy value in Dave's excellent book.